Cisco - WS-X3500-XL CISCO - (WS-X3500-XL) GIGA STACKGBIC FOR 2900XL / 3500XL / 2950 / 3550 SWITCHES. REFURBISHED. IN STOCK. SHIP SAME DAY. 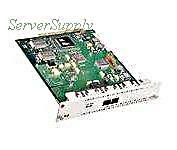 Hewlett Packard - J4113A HP/COMPAQ - PROCURVE GIGABIT ETHERNET 1PORT 1000BASE-SX SWITCH MODULE (J4113A). REFURBISHED. IN STOCK. SHIP SAME DAY. 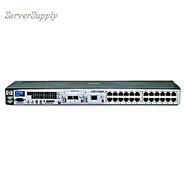 Hewlett Packard - JD853A HP/COMPAQ - V1405C-5 5 PORT ETHERNET SWITCH (JD853A). REFURBISHED. IN STOCK. SHIP SAME DAY. 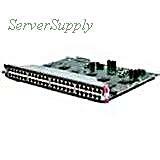 Hewlett Packard - J4864A HP/COMPAQ - PROCURE SWITCH GL TRANSCEIVER MODULE FOR SWITCH 4108GL ETHERNET WITH 3 OPEN TRANSCEIVER SLOTS (J4864A). REFURBISHED. IN STOCK. SHIP SAME DAY. 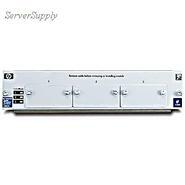 Hewlett Packard - JD838A#ABA HP/COMPAQ - V1405C-5G ETHERNET SWITCH - 5 PORT (JD838A#ABA). REFURBISHED. IN STOCK. SHIP SAME DAY. Hewlett Packard - 194700-001 HP/COMPAQ - FC-AL SWITCH 3-PORT EXPANSION MODULE BOARD STORAGEWORKS FIBER CHANNEL ARBITRATED LOOP 8 (194700-001). REFURBISHED. IN STOCK. SHIP SAME DAY. 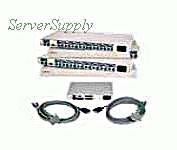 Hewlett Packard - J4116A HP/COMPAQ - PROCURVE SWITCH GIGABIT TRANSCEIVER 1000BASE-T COPPER STACKING KIT WITH NO CABLE (J4116A). REFURBISHED. IN STOCK. SHIP SAME DAY. Cisco - WS-C2950-24 CISCO - (WS-C2950-24) CATALYST 2950 24PORT 10/100 AUTOSENSING SWITCH. REFURBISHED. IN STOCK. SHIP SAME DAY. 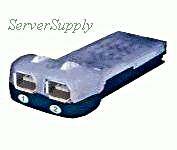 Cisco - WS-X4148-RJ45V CISCO - (WS-X4148-RJ45V) CATALYST 4000 INLINE POWER 48port 10/100BASE-TX SWITCHING LINE CARD. REFURBISHED. IN STOCK. SHIP SAME DAY. Cisco - WS-X6K-SUP1A-PFC CISCO - (WS-X6K-SUP1A-PFC) CATALYST 6500 SUPERVISOR ENGINE 1-A W/2 GIGABIT ETHERNETportS & POLICY FEATURE CARD LAYER 3 SWITCHING ENGINE. REFURBISHED. IN STOCK. SHIP SAME DAY. 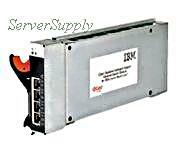 IBM - 32R1892 IBM - BLADECENTER 4-PORT CISCO SYSTEMS INTELLIGENT GIGABIT ETHERNET SWITCH MODULE (32R1892). REFURBISHED. IN STOCK. SHIP SAME DAY. 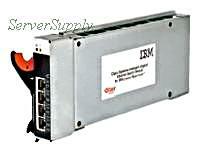 IBM - 13N2285 IBM - CISCO SYSTEMS INTELLIGENT GIGABIT ETHERNET 4 PORTS SWITCH MODULE (13N2285). REFURBISHED. IN STOCK. SHIP SAME DAY. Hewlett Packard - J4813A HP/COMPAQ - PROCURVE 2524 ETHERNET 2000MBPS 24-PORT WITH 2GB TRANSCEIVER MANAGED NETWORK SWITCH (J4813A). REFURBISHED. IN STOCK. SHIP SAME DAY. 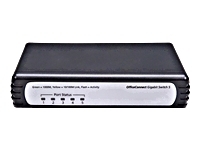 3COM - 3C17204-US 3COM - SUPERSTACK III ETHERNET FAST ETHERNET 48-PORT 10/100BASE-T RJ-45 NETWORKING SWITCH 4400 (3C17204-US). REFURBISHED. IN STOCK. SHIP SAME DAY. 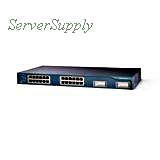 Hewlett Packard - J4818A HP/COMPAQ - PROCURVE SWITCH ETHERNET 2324 UNMANAGED 24-PORT 10/100BASE-T (J4818A#ABA). REFURBISHED. IN STOCK. SHIP SAME DAY.